Give the accesss rights that are appropriate to the role. Set up all your users based on what they need to do. To protect your business we offer access privilege rights for each core function within your team. Editing listings is a key activity and we can keep that separate from your staff involved in goods-in or fulfillment. 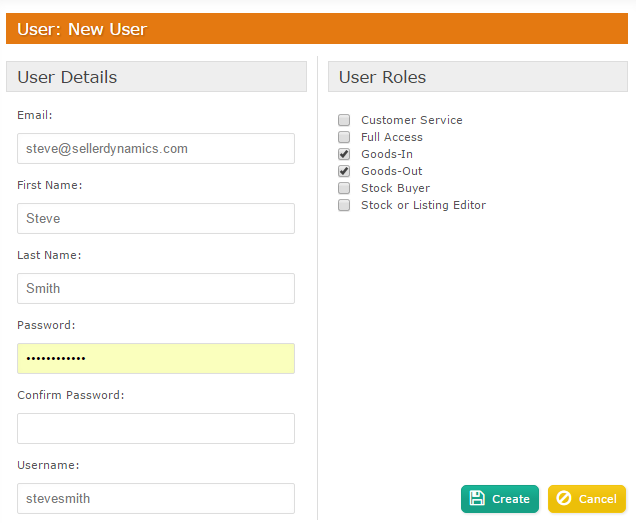 Add and edit users with ease and set user access privileges as required. You no doubt have a lot of questions about how we can help, so just call 01786 430076 and we'll be able to answer them.